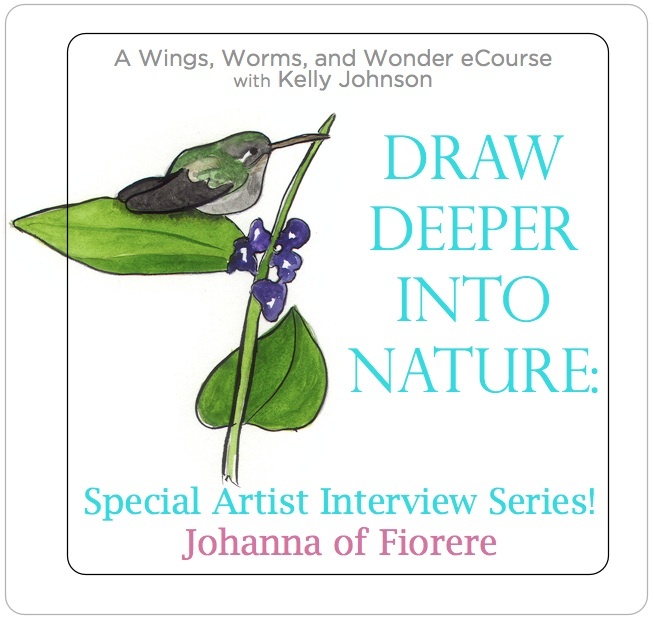 Today I am really excited, I know I say that a lot but I’m especially excited today, because the Draw Deeper Into Nature Artist Interview series kicks off!! This week is going to be great because everyday we get to meet a different featured artist from my upcoming brand new eCourse Draw Deeper Into Nature. And on Wednesday we get to gather live and I’ll be teaching a super fun painting with nature technique!! 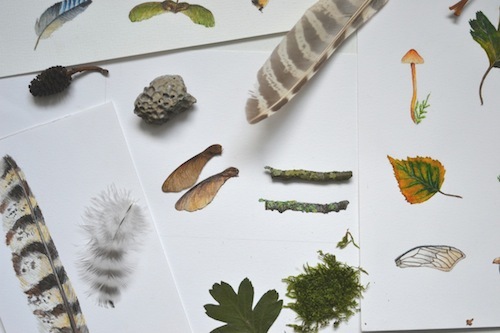 It’s a week of nature inspired creative fun! YAY!! 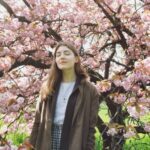 I first discovered her on Instagram about a year ago and have been immensely enjoying her inspiring feed and videos ever since! Let’s get to know Johanna!! 1. Did you have a lot of nature experiences in your childhood that inspired the way you relate to nature so peacefully now? What was your favorite thing to do in nature when you were little? My father is very fond of nature and when I was little he used to take me to the forest very often. I always felt very free in nature, even the smallest park felt like a deep unexplored forest to me back then. My father knows very much about plants and especially birds, he taught me a lot about nature. Near my home there is a small forest and when I was younger I liked building tree houses with other children. I also was very proud to own a little book that explained how to live in the forest by yourself. Also I used to believe that fairies were secretly hiding beneath the stones and other places in the forest. I was obsessed with these books called ‘The Spiderwick Chronicles‘ and I still really love them nowadays! My favourite thing to do in nature was probably to pretend that I was alone in the beautiful forests and that I could talk to all the magical creatures living there. That is so wonderful. It is so important for children to have an adult with whom to learn about nature and to help build a life long long of the natural world. It sounds like you had the perfect childhood nature experiences! Adults to teach you, freedom in nature to create and explore with your friends, plenty of nature magic and books to spark your imagination. Such a good example of the wonders of a childhood immersed in nature! 2. 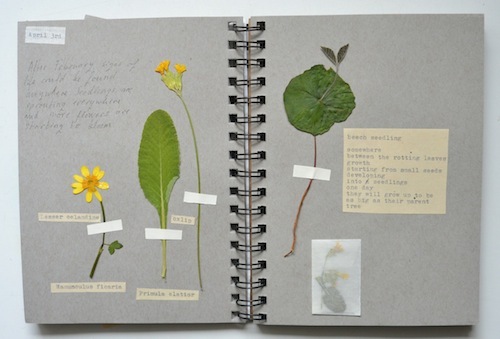 What most inspired your vintage nature journaling style? From a young age I’ve always had a notebook with either drawings, scribbles or pictures with me. I remember being in a really old fashioned bookstore when I spotted something titled ‘nature journal’. Sadly I never really got a good look at the book itself but it inspired me to start documenting nature. The way my nature journals look changed a little bit over the years but I suppose that it is just the way I document things. I do remember visiting many museums on family holidays and I was always very fascinated by the way famous naturalists like Charles Darwin or Carl Linnaeus kept their collected specimens. Maybe I was inspired by their collections. With my nature journals I wanted to learn about the things I observed in nature and at the same time create something beautiful as well as interesting to look at. So I guess that there isn’t anything specific that inspired my nature journaling style. It sounds like throughout your life you have really connected with both the science and the art of nature and that those connections planted seeds that may have influenced both your curiosity and your creative expressions! I love it! Nature-study in its truest sense! 3. You have an amazing gift for observing quiet nature wonders. Do you have any advice for “seeing” for new nature journalers? It is actually quite funny that when I go out for a walk with someone they are really stunned that I keep spotting little insects, mushrooms or other lovely things in nature. I think you just have to focus a little more on what is happening around you rather than what you are feeling. It is calming to observe the outside world, especially when you are feeling stressed or overwhelmed. After a long day at school I usually liked to ride through the park on my bike and quietly watch the ducks in the pond. There are so many small and tiny but yet wonderful things out there. It is quite fascinating to just observe how a bee buzzes from flower to flower or how a ladybug climbs a plant. It is easy to see if you just put a little more effort into seeing. Every day is an adventure and especially when you are keeping a nature journal it is incredibly exciting to spot new things that you could draw or write about. That is so interesting how you say to focus more outwardly when on a nature adventure. I hadn’t thought of it that way before, but it is so true! When we can stop thinking about the things in our heads and focus on all the tiny wonders around us there is so much to see!! And practice makes it easy! 4. Where do you spend time in nature near your home? What makes that place a favorite regular nature spot? Actually I am very fond of a small botanical garden that is near my home. It has a tiny forest, an alpine garden and a huge pond as well as a heath and even a small swamp. I adore botanical gardens in general because there is just so much to see and I love that they are in a constant state of change. There is much to observe and everything is treated with care. The botanic gardens are a safe place to me and I like returning to a familiar place to observe nature. Also when you know a place already it is so lovely to see mushrooms grow on the same place each year and knowing where you will find what is actually quite nice because it feels like you are meeting an old friend. I love botanical gardens too! They bring so much inspiration. You are so right that returning to the same place to see the changes is very interesting and exciting, yet comforting at the same time. And when you know where you are you can really start to see all the tiny details of the place. This is quite a difficult questions because I love so many smells in nature. I like the smell of pine trees and the smell of heather, I love the smell of certain plants like rosemary or mint. But if I had to chose I think the smell right before and after a thunderstorm could be my favourite. The air feels powerful and the smell of rain is just so refreshing after a hot summer day. Here in Florida we definitely get the powerful storm smell. I love it too! It has such wonderful energy! 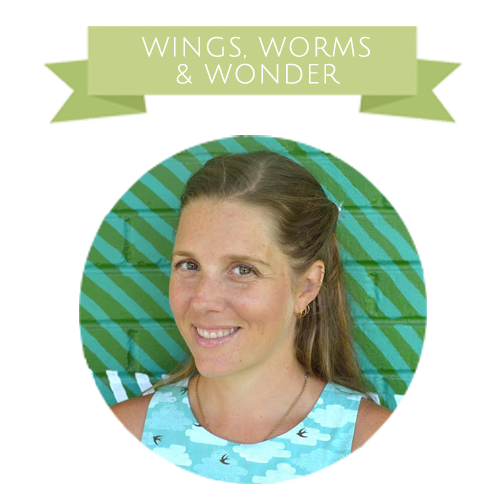 My name is Johanna and I consider myself a naturalist that loves to paint and observe nature. I like going for walks in the forest and am mesmerised by the beauty of little insects that hide everywhere we do not bother looking. I like to keep a nature journal and enjoy lovely moments in nature, I hope to be able to one day raise awareness to the endangered biodiversity on our planet through my artworks. Do you have childhood nature play experience like Johanna that planted seeds for your current love of nature? Be sure to register here for the live event Wednesday May 18 at noon!!! I’ll be giving away 3 prizes including a spot in the course! Early bird pricing ends this Wednesday, May 18, at midnight est!! Wow!! Thank you for such an inspiring interview kickoff Kelly. I can’t wait to read the others. Johanna — I loved hearing your nature story and what brought you to the creative work you do today. Your images are amazing and filled with care. I love seeing how your art has both intention and inspiration in it. Thanks ladies, this makes me want to grab my journal and head outside. I agree Kiala!! Johanna inspires me to slow down and create something beautiful! Kryste, you painted such a beautiful picture!! I love this and love that you are passing on our wonder. Seasonal changes and nestling in nature, settling in so the creatures become comfortable is so powerful! I LOVE botanical gardens, thanks for that wonderful reminder for inspiration. And thanks for a chance to win a spot in your upcoming class! Tina, I love botanical gardens too!!!! I always visit at least one whenever i travel – And good luck!! Thank you Johanna & Kelly for so much love and inspiration!–I am excited and delighted to have started a nature journal today and can’t wait to see what other magic you bring me this week. Thank you so much! Love from Tucson, Arizona. Kait, Hooray!! How wonderful that you share that and how wonder-filled that you started a nature journal today! I am so excited for all the nature connections that are soon to unfold and fill you life with extra joy! A night time hike in the woods and the magic and mystery of it all that I felt on my first overnight school trip to an outdoor education centre outside of my very urban city life when I was 10 years old. Thank You for your inspiring words and beautiful journal photos. ooooooh Paula!!! night time hikes are so exciting!! They reveal so much that goes on in our web of life while we sleep!! I spent my childhood on my bike riding all over neighborhoods and in the forest. I spent summers on my grandparents farm and now I live in that world that they taught me to love. I used to rake horse trails in the woods and pretend I was riding my horse on them. Now I make trails with a tractor and have four horses to ride out in the forest. It is my most favorite thing to do and place to be. There is a lot of nature in my world, I sleep outside on the screen porch at night to be immersed in the sound vibration of summer nite time. Sunshine, the nature sprite!! How about making gnome homes!! You taught me that!! Johanna, thank you for reminding us how every day is a new adventure in nature, that there is so much beauty to observe, to refresh us, to nourish and inspire! I am going to put a sketch book and colored pencils in my bag so I will always be ready to explore! Awesome Patty!!! You will be ready! 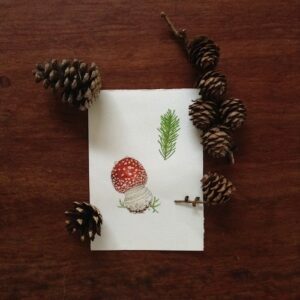 Love Johanna’s memories of magical (and ordinary) beings talking in the forest! I think children still have that possibility of connection. And appreciate the journal snippets…simple and inspiring. Peggy, I do too, and grown ups too when we can quiet and open our minds! Cindy!! Mother nature guided you here!! I am so happy to meet you and welcome! 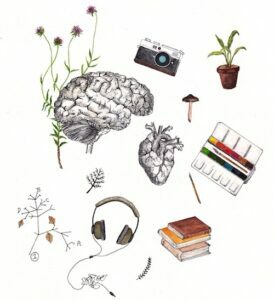 I am the same way, all the childhood experiences in the garden and the woods and oceans are what lead me to this path. It is so important that we nurture those foundations and create experiences for the younger generations to connect with nature hands on and through the sciences and arts! I agree Clemencia!! I love them! I too thoroughly enjoy finding inspiration in a botanical garden! Gosh – your nature journals and desire to learn more abou the nature you have seen really resonates with me and takes me back to a wonderful place in childhood. Thank you Johanna you have inspired me to go out and get nature journaling. Feeling a bit overwhelmed by these lovel long forgotten childhood feelings! Maggie, That is awesome!!! Let your feelings guide your creative nature connections! So happy you are getting back out htere! I grew up on a farm that was around 180 acres of woods and fields in SE Ohio. It was a wonderful place to explore and my sister and I spent many hours playing in the woods. And I remember riding down dirt roads in the back of my dad’s pickup truck and finding creeks to splash in and explore. I went through a time as a young adult where I lost touch with all the wonders of nature, but in the past few years I have connected again as I take my children exploring! Libby that is so wonderful! Your childhood roots are nurturing this new experience of guiding childhood! I just found you via Instagram and am sooo excited by all that you offer here. 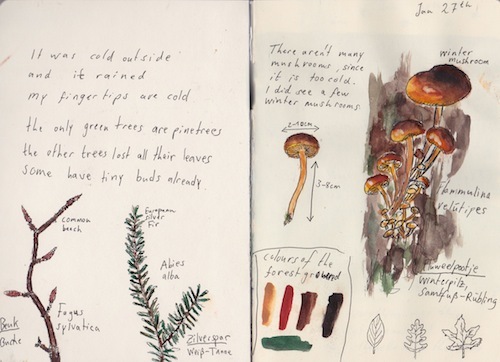 Love getting to see and learn about other artist’s ways of working in a nature journal. Mine is a tool for helping me learn about my “neighbors” and it also guides me in slowing down, looking, investigating and listening to the stories of the plants and animals around me. Thank you Johanna for sharing your experiences here. Very inspiring! I’m glad you found it and enjoyed Lisa! !